As part of their collaborative efforts to develop ZigBee solutions for a broad range of smart energy applications, RF Micro Devices and Atmel have combined RFMD's RF6575 ZigBee front end module with the Atmel ATmega128RFA1 to create the ATmega128RFA1 reference design. This high-performance ZigBee-based solution is intended to give public utilities and consumers more control over how they monitor and save energy. The solution is suitable for use in portable battery-powered equipment, advanced metering infrastructures, and high performance ZigBee and home area network applications in the 2.4 to 2.5 GHz ISM band. 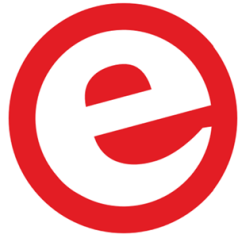 It addresses the need for aggressive size reductions in IEEE 802.15.4 designs with a reduced footprint and minimised component count. RFMD's highly integrated RF6575 features a +22 dBm 2.4–2.5 GHz power amplifier, harmonic output filter, DPDT diversity switch and low-noise amplifier. The RF6575 is housed in a 3.5 x 3.5 x 0.5 mm package, one-third the size of competitive products. The device has a single-port bi-directional transmit/receive interface. 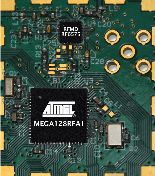 The Atmel ATmega128RFA1 combines an AVR microcontroller with a 2.4 GHz RF transceiver in an IEEE 802.15.4 compliant single-chip package with a link budget of 103.5 dBm. The device features wake-on radio, a 32-bit MAC symbol counter, temperature sensor, automatic transmission modes, 128-bit AES cryptographic engine, true random number generator, high data rate modes, and antenna diversity support. Samples and production quantities are available now through RFMD's online store or through local RFMD sales channels. A demo board (RFSM6575RC128A -410) is also available.